A hand-painted sign on the gate of the 2.5-hectare assembly plant of the iconic Sarao Motors Inc. (SMI) in Pulanglupa, Las Pinas City welcomes both tourists and customers. Eleven years after Leonardo "Mang Nardo" Sarao announced its closure in October 2000, the iconic jeepney manufacturing firm has since resumed operations and is still running, albeit at a slower speed. The company, now managed by Sarao's children, produces one to two units per month, according to Edgardo Sarao, the fourth son of the legendary Filipino entrepreneur. At its peak during the 1960s and 1970s, the assembly plant manufactured around 30 units per month. A licensed architect from the University of Santo Tomas, the 51-year-old Sarao has worked full time for SMI since the late 1980s. He is now the company's production and plant supervisor. Sarao recalled that during his teenage years, he and his siblings spent their summer vacations familiarizing themselves with the different aspects of jeepney production. That, he said, was their father's way of grooming them in managing the business. Mang Nardo passed away on July 31, 2001 at age 80. Edgardo described his father as very "traditional" and "strict.". Mang Nardo, the 1981 Ten Outstanding Filipino award recipient for entrepreneurship, barely reached high school. He once worked as a railway man, a school gardener, a farmer, and a cochero (driver of horse-drawn carriage) --- where he saw the need to develop a mass transport system. Together with his other siblings, Mang Nardo borrowed P700 from his godfather to start his own jeepney assembly business in the early 1950s. This came to be known as Sarao Motors a decade later. The success of Sarao Motors enabled the family to try other businesses, such as lending, leasing commercial buildings, and developing townhouses. They also once had a resort and coconut plantation in Pagsanjan, Laguna. During the 1990s, higher cost of imported spare parts, coupled with the weakening of the peso against the dollar as well as state-mandated wage hikes, affected Sarao Motors. 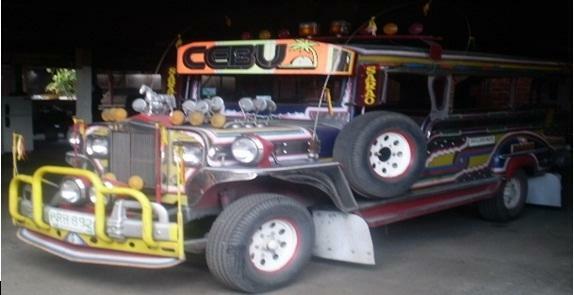 The government put in place regulations that made it tougher to renew jeepney registrations. These policies made it difficult for local players to invest in the transportation industry, he noted. In early October 2000, Mang Nardo announced in front of his teary-eyed relatives and 350 employees the company's sudden closure. The younger Sarao recounted: "Everyone was there. Two generation of employees. All of us were sad." Sarao Motors' brief closure happened at a time when then-President Joseph Estrada was besieged by a political crisis that eventually ended his administration. "We became an indicator of the economic problems during the Estrada government," he said. He noted that Estrada used a Sarao-made jeepney (dubbed as "Jeep ni Erap") during his 1998 campaign to symbolize his pro-poor platform. This vehicle is now displayed in the former leader's museum in Tanay, Rizal. With 50 employees, the company resumed operations a few weeks after its much-publicized closure. "Since we have downsized, we no longer encountered serious problems," Sarao said. Nowadays, they meet new clients through word-of-mouth and, much recently, Facebook. To people pushing for the modernization of jeepneys, Sarao had this to say: "I remind them that most Filipinos are living below the poverty line and that we do not have yet the technology needed to upgrade the jeepneys." He added: "The price of jeepneys will certainly be affected. No one might buy jeepneys anymore if it is no longer affordable." A jeepney costs P400,000 on the average, depending on specifications. He nevertheless reiterated that they are open to building jeepneys using more environment-friendly technologies "as long as it is available locally." He said that their company uses surplus second-hand engines from Japan, which typically cost from P90,000 to P140,000. He stressed that though catching up with modern technologies is essential to the company's future, traditional values must still be observed. To succeed, Sarao recalled their Tatang's advice for them to be "hardworking, modest, persevering, and humble all the time." Asked what he thinks about the future of the iconic Philippine jeepneys, the son of Leonardo Sarao said: "The jeepneys are here to stay, whether they like it or not."